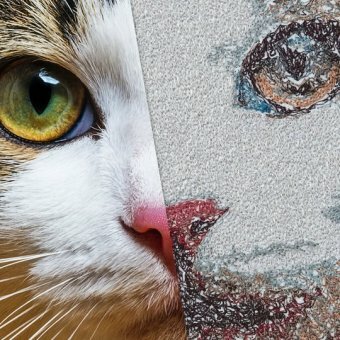 Color Photo Stitch | Combine two creative passions: photography and embroidery. 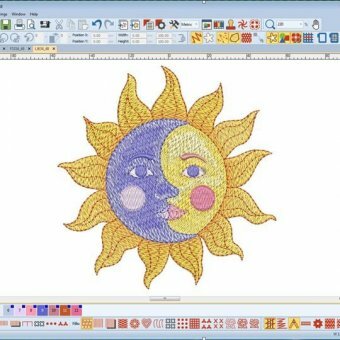 Take a picture and turn it into an incredible embroidery design. 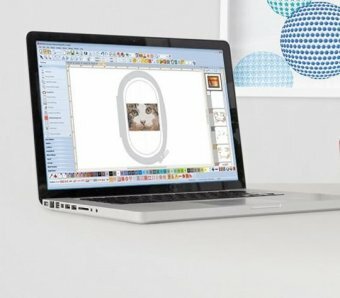 With automatic digitizing your picture is transferred into an easy-to-stitch out embroidery design with one click. 3D Globe Effect | Create an incredible spherical look with 3D globe effect. 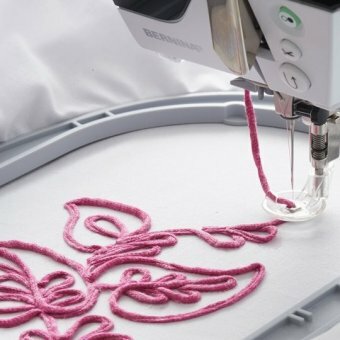 Turn your flat embroidery into a 3D design only by visual illusion. Couching | Create special embroidered effects with yarns, cords, wool, etc. in combination with classic stitching. These sculptured threads stand out on your design for stunning effects and textures. 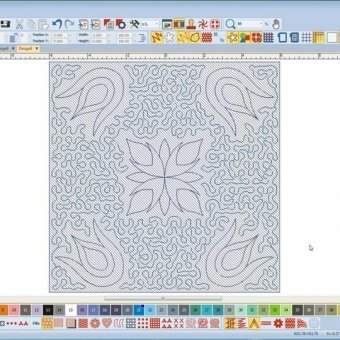 Automated Quilt Block Layout | Automatic quilt background stitching used to create 'echo' quilting designs, like scroll clipped or stipple filled quilt blocks. Quilt block sizing and positioning aids. Color Management | Color chart positions are numbered for easy reference. Chosen colors are tagged. 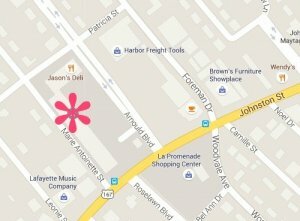 Hide or show unused colors in the chart. Easy to pack a color and fill separate sections. Simple Software Installation | USB stick for installation and product key for activation - No more dongles! Compatible with Windows 7 - 10. 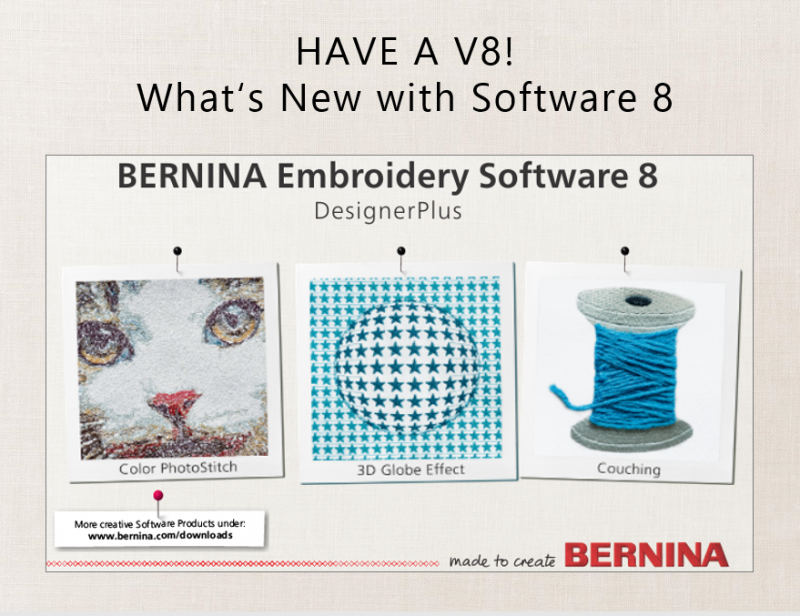 Click here to download the presentation outlining some of the newest features of BERNINA Embroidery Software 8. 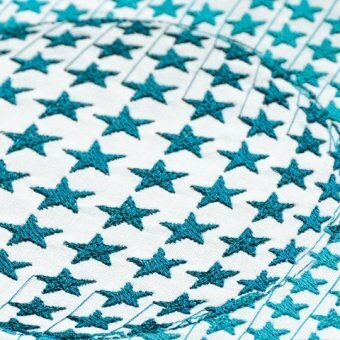 If you don't currently have BERNINA embroidery software, you will need to purchase the Full Version. If you have an older version of DesignerPlus software, you can purchase just the Update but only V5, V6, and V7 can be updated. Versions 1 - 4 cannot be updated to V8 and you will need to purchase the Full Version. If you have EditorPlus software and want to Upgrade to DesignerPlus 8, you can purchase just the Upgrade but again only V5, V6, and V7 can be upgraded. Versions 1 - 4 cannot be upgraded and you will need to purchase the Full Version.